visualization - I want to place the edges of a Hamiltonian cycle (Graph, GraphLayout) - New and Fresh Private + Public Proxies Lists Everyday! 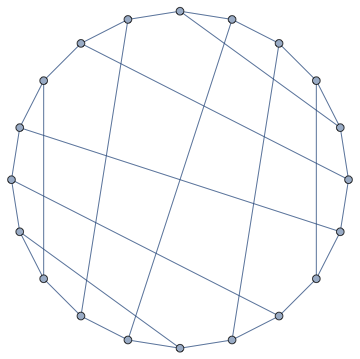 From Mathematica 11.3, GraphLayout -> "CircularEmbedding" place the vertices around a circle in the same order they appear in vertexList[graph]. Thus, you must rearrange the vertices according to the Hamiltonian cycle. 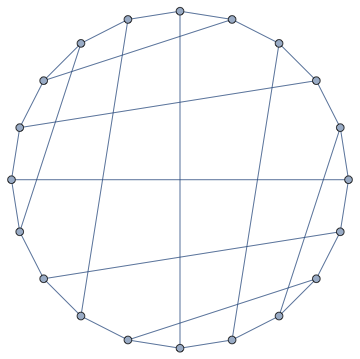 IGReorderVertices preserve the properties of the graphic (including style) when reordering vertices.